Candidates must download the Admit Card or Hall Ticket through online only. The Hall ticket will be available from 10-01-2019. The examination authority will not send any of the particular Hall Ticket by post or couriers. For Hall ticket download, candidates should visit the official website of AP DSC and enter the individual applicant registration number along with applicant date of birth. 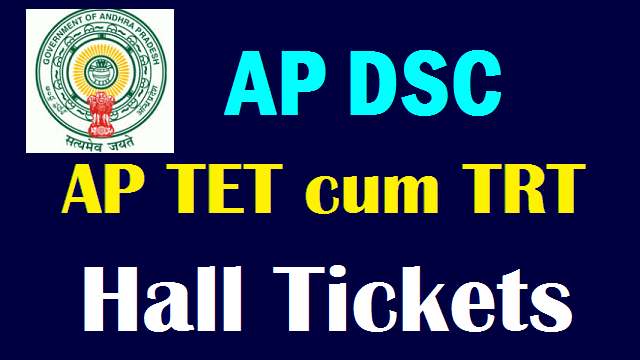 Search for “AP DSC Hall Ticket ” & Click on it. Enter the applicant registration number and date of birth and also fill the other required details. Check whether all details correct before logging. Take the print out of applicant Admit Card & keep it in a private place for further use.